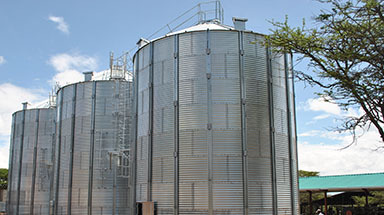 As you drive along the main road in Dar es Salaam from the airport you pass the impressive Azam site. 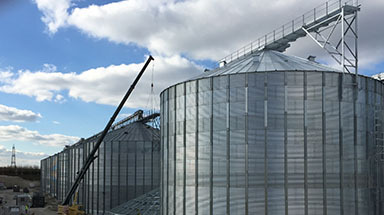 On this site Bentall Rowlands have supplied 15 large grain storage silos. 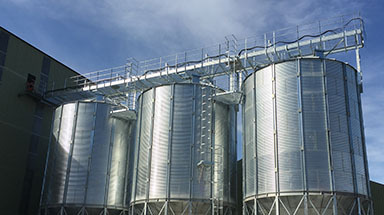 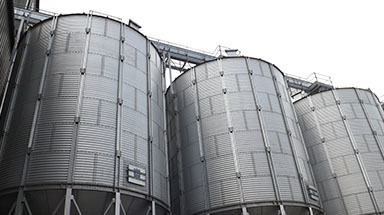 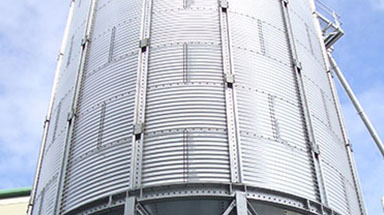 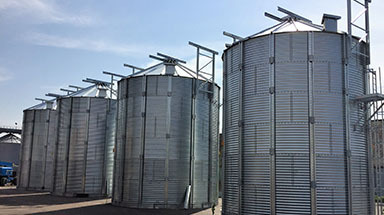 These silos are our model 22-17, 22 metres diameter by 17 rings. 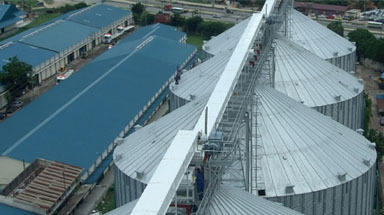 Each silo has a cubic capacity of 8,300 cubic metres. 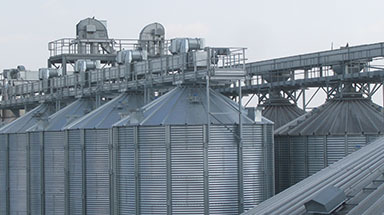 This gives a total storage capacity of 97, 700 tonnes of wheat. 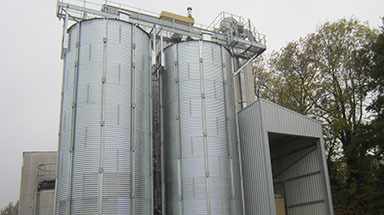 Each silo was supplied with a 50 tph sweep auger and grain conditioning fan. 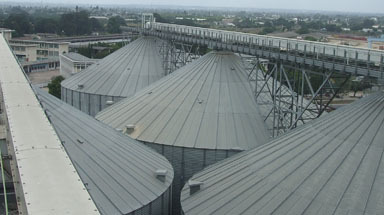 All of the silos have temperature monitoring cables which are linked back to a central control system.